CTET Admit Card 2015Released – Download CTET SEPT Hall Ticket ctet.nic.in. Central Board of School Education is going to held Central Teacher Eligibility Test (CTET) on 20th September 2015 at various centres across the country. The exam will be conducted at 77 centres. The exam centres are at Andeman & Nicobar, Andhra Pradesh, Arunachal Pradesh, Assam, Bihar, Chandigarh, Chhattisgarh, Dadra, Daman, Delhi/ NCR, Goa, Gujarat, Haryana, Himachal Pradesh, J & K, Jharkhand, Karnataka, Kerala, Lakshyadeep, Madhya Pradesh, Maharashtra, Manipur, Meghalaya, Mizoram, Nagaland, Orissa, Puducherry, Punjab, Rajasthan, Sikkim, Tamil Nadu, Tripura, Uttrakhand, Uttar Pradesh, West Bengal and Abroad. No pen will be allowed in the exam. The candidates will reach 90 minutes before the exam time. The following items will also be not allowed in the exam centres. The best news is that CTET September 2015 Admit card has been available now on 04th September 2015. The Admit card will be available in the first week of September 2015 on the official website www.ctet.nic.in. Those candidates who work on going for CTET exam, they can download their admit card from direct link given below. 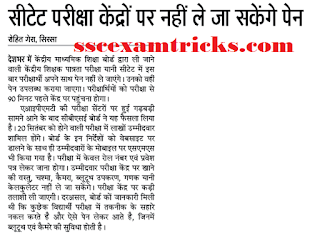 CTET Exam Centres List 2015You need to login your account to get your CTET Admit card 2015. 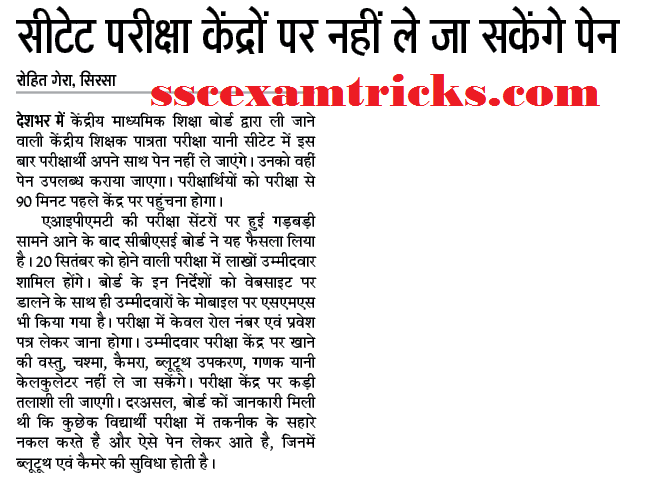 CTET will be held for Primary & Element Teachers for Class I to VIII. Earlier CTET SEPT notification had published on 28th July 2015 and online registration started on 30th July 2015. The eligible candidates had registered their online application form up to 19th August 2015 across the country for primary & elementary teachers test. These candidates are waiting for online admit card which may be available in the first week of September 2015. The importance of CTET SEPT Admit card 2015 is very high because no one can be entered into the exam centres without having this entry card. The exam has scheduled on 20th September 2015. Importance of CTET SEPT 2015: Selection of Guest Teacher, Contract Teacher, Regular Teacher across the country for JBT/ PRT, Elementary Teachers posts in in KVS, NVS, Tibetan Schools.